Is Monastic Ordination the Better Option for Single Dzogchen Practitioners? Re: Is Monastic Ordination the Better Option for Single Dzogchen Practitioners? That's right. I was quite surprised when a Yungdrung Bon teacher placed Ngondro first. Not sure why but I had thought, like ChNN, they may be 'DI first' in approach. For several reasons I didn't pursue it after speaking with him. Well they were influenced by gradualism as well by the time that corresponds to probably sometime just after the Middle Ages in the Western World. I can't find it, but I thought that there was a scripture that said Buddhism will disappear when Buddhist monastics disappear. Recently someone asked Bhikkhu Bodhi in his discourse on Anguttar Nikaya, he mentioned two things. One is related with bhikku not following the vinaya rules and another is disappearance of satipathana sutta teaching. Staying at Savatthi. "Monks, there once was a time when the Dasarahas had a large drum called 'Summoner.' Whenever Summoner was split, the Dasarahas inserted another peg in it, until the time came when Summoner's original wooden body had disappeared and only a conglomeration of pegs remained. There is a Jataka story about the King’s dream which I can’t remember properly right now. 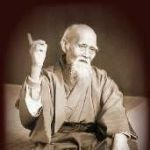 (Sakyamuni interpreted those dreams). 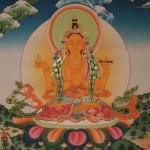 The Nyingma approach, at least with my root lamas (not counting ChNN, who I also count as a root lama), is to place emphasis on ngondro first, but while concurrently transmitting Dzogchen and instructing in Dzogchen practice within the context of ngondro from the start. Even when they teach us sutra, Dzogchen ends up worked in. Dzogchen permeates everything from the start. With the Yungdrung guy I saw the only thing that permeated everything from the start was money......and lots of it. In general such options are to be taken to your Teacher for clarification. If that is not possible you can try different styles and see what works best for you. What works for one person at a certain point in time does not work for another. This is why Lord Buddha taught the 80,000 (means a lot) different teachings so that there would be something for everyone. The key point is to be active and make progress in your practice. I once met an exceptionally beautiful blond Dakini, with 4 ft long matted dreadlocks who had been told to break her 3 year retreat and go to the city (Boudhanath) by her teacher to find a man to satisfy her desires so she could get back to her practice without distractions. and you were the lucky one? Maybe you have me confused with someone else. Or Aku Tenba - If anyone has a pdf, or other source of the Aku Tenba stories then please post or PM. They used to be on line but seem to have since disappeared. They are very funny. Has to do with respecting Karma. While nosing around trying to find an adequate answer to this question, I ran into this interesting post. Words are not Dzogchen. The entire written collection of humanity is contained / transformed in one moment of Guru Yoga.